The time has come. 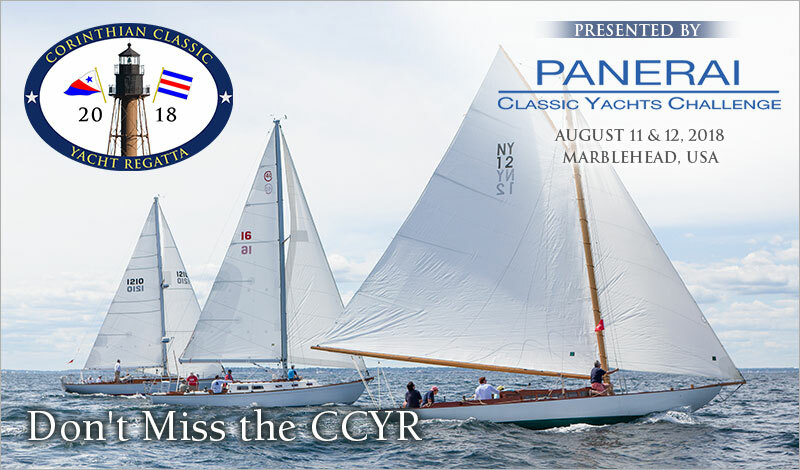 There's just one week left to register for the 2018 Corinthian Classic Yacht Regatta, presented by Officine Panerai, August 11 & 12. Seriously, you don't want to miss this event. As you may know, this regatta has become quite popular for it's low key sailing, fantabulous spectacle of classic yachts – Vintage, Classic GRP, and Spirit of Tradition – free moorings, an absolutely unbelievably rich skippers bag, and a heck of a party. What a parade of yachting's finest. We have over 40 yachts to date. Are you sure you want to miss this? If you are receiving this communiqué you have a classic. Get out for this event and enjoy your boat. The racing is done in 'Pursuit' format - unique, safe, fun. A 2018 Classic Rating Formula will be required for all boats and we will assist anyone without a rating to easily secure a certificate.